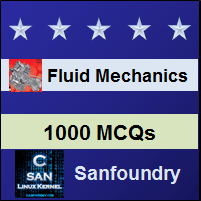 This set of Fluid Mechanics Multiple Choice Questions & Answers (MCQs) focuses on “Gradually Varied Flow(GVF) – 1”. 1. Which of the following assumptions about a GVF is false? Explanation: In a GVF, the flow is steady and hence the flow characteristics does not change with time. 2. Calculate the total discharge though a rectangular channel having depth 2m and width 4m if the value of C = 50 and if the slope of the energy line is 0.00004. 3. 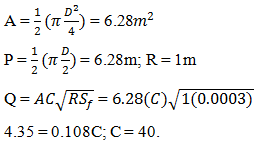 Calculate Sf for a triangular channel if the depth of the channel is 5m and the side slope is 1H:2V. Given: Q = 5.80 m3/s , C = 40. 4. Calculate the discharge through a trapezoidal channel section if the depth of the channel is 3m and the base width is 3m. Given: C = 30, Sf = 0.0005, A = 12m2. 5. The discharge through a circular channel section having diameter 4m which is running half is 4.35 m3/s and the value of slope of energy line is Sf = 0.0003, calculate the value of C.
6. 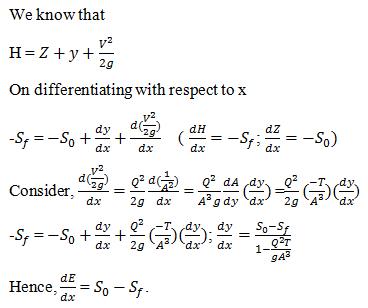 Determine the dynamic equation for the rate of change of depth having bed slope S0 and slope of total energy line Sf. 7. Determine the dynamic equation for the rate of change of depth having bed slope S0 and slope of total energy line Sf in terms of Froude’s number. 8. Estimate the rate of change of specific energy having bed slope S0 and slope of total energy line Sf. 9. Calculate the rate of change of specific energy if the bed slope is 1 in 1000 and Sf = 0.00007. 10. 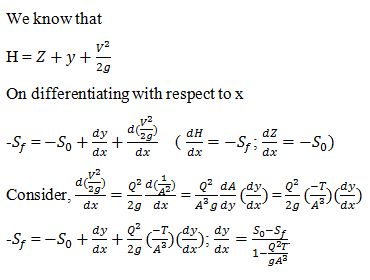 Estimate the value of Sf if the value of bed slope is 1 in 800 and and dE⁄dx = 10-3m. 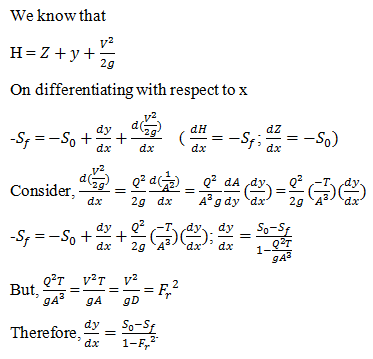 Explanation: dE⁄dx = S0 – Sf; Sf = 0.00025.